Late last week I went into an antique store looking for plates, silverware, that sort of thing. I love vintage plates, but just didn’t find anything I liked this time. 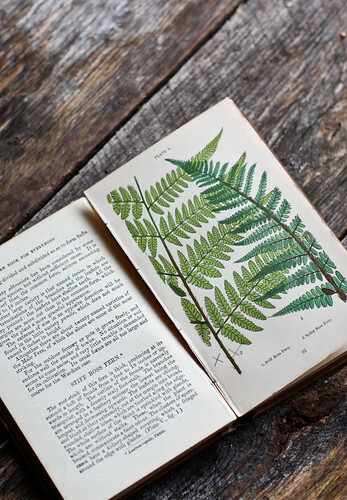 illustrations of the ferns of Britain, printed in the loveliest shades of green. 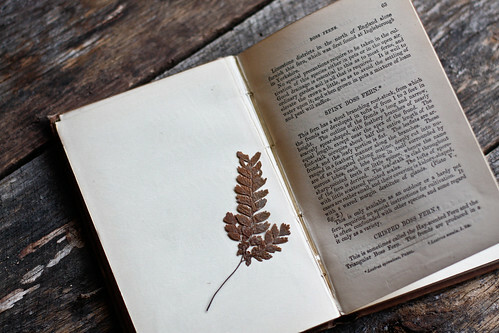 Inside there are several hand written notes, and this leaf was pressed between the pages. I love this little book, I’m so glad I happened upon it. How fun! I love antiquing and I love things like this - even the fonts and types are interesting, you know? That has to be one of the most beautiful books I've ever seen. oh my, what a find. What a neat little treasure. I hope you enjoy it for many years. That is a beautiful book! I would love to own something like that! How charming! I wish I could take a peek inside. your photos are beautiful. keep up the good work! A great find I say!! So beautiful! Great find Hannah. I think you just found a treasure. 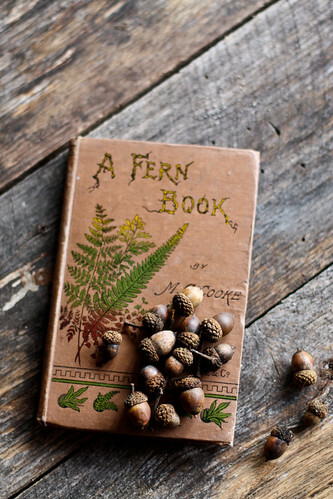 that is just priceless...with the handwritten notes and a fern pressed into the pages. what a great find. it makes me want to go antiquing. That is an amazing find! Lucky you! That pressed leaf.. I wonder how old that could be?! ... That's pretty exciting! What a beautiful little book. That's like finding a treasure, isn't it? I love when that happens. Imagine my delight at finding such a fantastic blog-resource. Great recipes, too! I'm looking so forward to reading more of your posts in the future. What a fabulous find. I love the quirky little things we discover when we're not really looking. 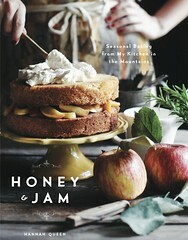 Gorgeous book! 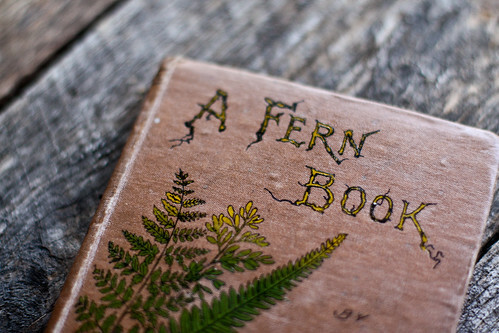 And the little pressed fern is a real treasure... I love thinking about who might have tucked it in there for safe keeping. 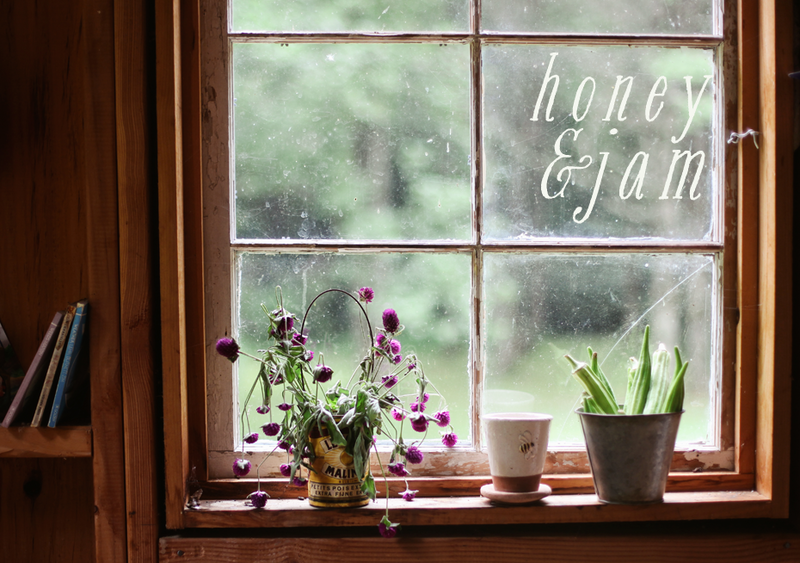 Your blog looks amazing! Love the photography here. how awesome is to find this book made on past century, I think that you have to value as it was a treasure, I am so glad to see this, I hopefully find it from you, there arent a lot of people who has one.